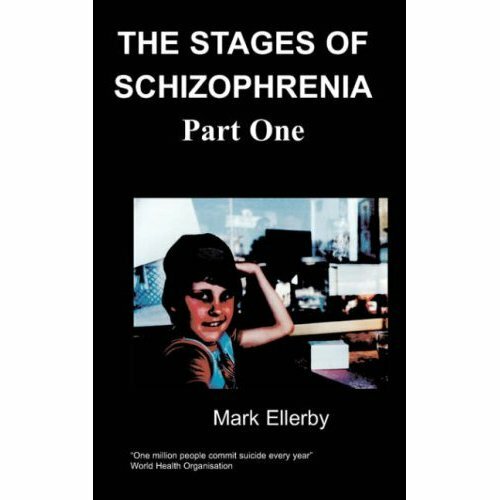 A courageous book demonstrating the difficulties with depres .. This book is an interesting account of one woman's battle with depression. It demonstrates the difficulty she had in finding herself and trying to understand herself. It is an extremely touching book and it deals with a variety of issues to do with religion and culture, as well as depression. 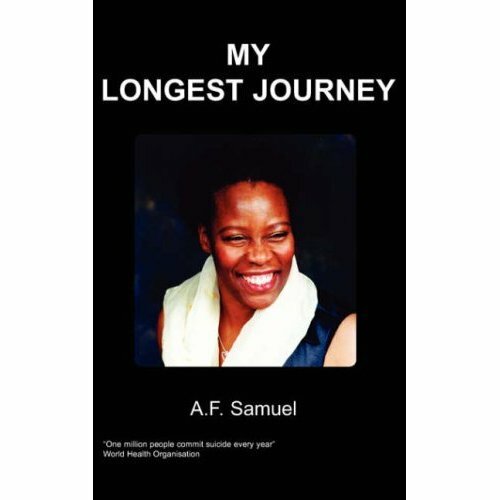 Ann Samuel suffered from clinical depression. This book is a diary account of three years of her life while she was suffering from depression. She aims to give people hope and connect with other mental health sufferers. 'My Longest Journey' symbolises the process of searching for my one hope of finding my way out of my cocoon, a skin that encircles my entire perception of the world. In one sense, it is really my protection against my own feelings of grief, grief ultimately over love, something that I longed for since childhood maybe, even at birth. In another way, it is about fear, my fear of an internal sense of feeling at risk or in danger that on an emotional level, makes it even more difficult to believe in feeling loved and secure. Yet, I feel in this way I am more human as I wrestle with these emotions, with the questioning, that I need to surrender. Yet, I only appear to partake of human experiences because my 'skin' cocoons me, it imprisons me, trapping me, in its inability to shed itself, to shed its chrysalis and turn me into a beautiful butterfly, to fly away home. I started to keep this diary which covers nearly three years of my life when I not long before got a picture diary from a book club as a free gift. I had already decided to keep a dream diary to get an insight into my unconscious world and this prompted me to write my conscious diary. I needed to express my feelings in a safe way to myself becoming my own personal therapist. So many emotions were building up inside me that I knew would explode if I didn't get them out. I needed to understand the pain inside me: grief, fear, loneliness, guilt, anger and shame. I wanted to make meaning of these feelings and learn how to tackle them. What could I gain from my pain? In writing my diary I was able to stand back and look at my feelings, even uncomfortable, painful, emotions that were once buried, forgotten, but now rising up like warriors to fight me but having to learn not to fight back. Furthermore, I was able to see the destructive ideas or teachings that plagued me in my insanity of fear, danger, punishment, shame, guilt or anger. Yet, my strong desire to come to terms with these feelings through a sense of restoration and fulfilment of the dreams I dared to dream one of which was to write and publish a book. My diary actually starts with my most recent entry as I am still going through this process but, it can be read from here (retracing) or from the back forward (tracing) as it has no endings just beginnings, a section of my life history. I am breaking with conventions here as I believe choice equals power. (To me power is politics). I have also added my own cover images plus some poetry that also speaks of feelings and meanings. It is sometimes a confusing, disturbing journey, a dolly mixture of my own feelings, emotions, family, heritage or lineage, religion, conflict, news and lots of other human issues that I encounter along the way that are important to me as they too, need to find their way home. Hence, my longest journey surrendering my feelings in my path to healing; ultimately trying to find my way home. This means a place of hope, belief, forgiveness, trust, love and security within myself rather than from another person. My home also has another dimension, a physical, literal one, safe and secure and all that I want it to be. My diary writing is also about revisiting memories (Christmas, family visits, and simple things) that I could hold onto. Also, reclaiming my education as a parent student while coping with financial hardships and long term clinical depression. What I noticed in writing my diary is that there are many parallels and contradictions. As a child, the conflict with the cars taking up playing space and later as an adult in my trauma. My frantic knocks on the red telephone box to ring 999 (reminds me of 666) and my mother's frantic reaction when I went briefly missing. My home that changed from a place of relative safety to a place of stolen innocence, insecurity and responsibility. Then the parallel in the religious group in what I believed to be a safe place, which then became a home of emotional and spiritual abuse. Even my own personality has its contradictions its light and dark side. My thinking, creative, intuitive self, coupled with my depressive, lonely, grief-stricken self. But, just as there is day and night the two sides must exist together, each one needing the other to function. Also, there is the contradiction of being filled with the past and with my present. Symbolically, though, I am also many things, a would-be butterfly, a dove, a horse and the deep blue sea! Well, I am an Aquarian! There is also the figurative aspect of my birth, born during a harsh winter one of the worst winters in Britain, in 1963, and the sense of my own coldness depicted in my poem, 'Cold' yet powerfulness of feeling. Here, now I imagine the sun's rays penetrating my coldness, the ice, melting it away. There is also, the issue as to whether the timing and year of my birth, a time of great struggle for freedom, like civil rights, apartheid (Nelson Mandela imprisoned) has anything to do with the way I am and my life experiences. Such as ideas and feelings of my own parentage since my childhood that I had absorbed like a sponge into my own consciousness as a highly sensitive person (HSP). The cool reception to my parent's arrival in England, from Grenada and their hardship and grief mirrored by the severe winter; then my birth, which I believe, bestowed upon me the duty to care. Initiated at birth! I was to carry the burdens of responsibility 'great expectations'. Born in the West of London my parents moved to East London, Hackney, when I was a young child. I was to live there until I was about twelve when my family settled in North London. I was surprised at the multicultural and spiritual community - Black, Jewish, Muslim or Turkish in particular. The Orthodox Jews fascinated me in Stamford Hill, who wore a sense of tradition. The lively, rich characters of black hairstyles, fashion and churches against the deep creativity of the mosques that enriched my sense of culture.